Insulated glass minimizes heat transfer to save energy and make your home or office more comfortable. The energy savings can be substantial, especially if you are replacing old, inefficient single-pane windows. Whether you are looking for residential or commercial replacement windows in Houston , insulated glass is the best option for your home or office. 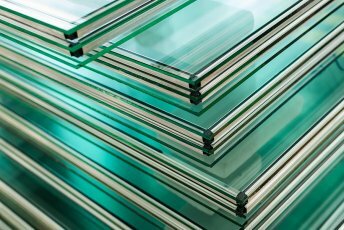 Here is a look at some of the main benefits of insulated glass. Insulated windows are compatible with low-e coatings, which offer further insulation from heat and cold. Insulated windows can be installed with almost any material, but fiberglass, vinyl, and wood are the typical choices. Heat loss through windows can take place in four different ways: infiltration, conduction, radiation, and convection. During infiltration, air leaks in and out of the gaps along the edges. With conduction, heat moves through the window glass. In radiation, heat moves from a warmer object to a nearby cooler object, which can cause up to 65 percent of heat loss in a home. When hot air rises and cold air sinks, cold air takes air with it toward the window—this is called convection. Insulated glass is either double- or triple-pained, which prevents the loss of heat through infiltration, conduction, and convention. It also regulates the temperature of the interior glass, which significantly reduces heat loss through radiation. Insulated glass not only keeps the temperature even and more comfortable indoors, but it helps maintain a more comfortable humidity level. This improves indoor air quality and prevents problems with your skin, eyes, and lungs that can develop from extremely low or high humidity. Insulated glass also reduces the risk of condensation on the windows, which can lead to mold growth and threats to indoor air quality. Whether double- or triple-paned, insulated glass greatly reduces outside noises. This is because in between the panels of glass there is a section of air that prevents noises from passing through. You can also find insulated glass with krypton or argon gas between the panes for further noise reduction. 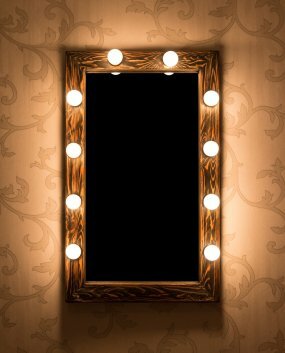 Mirrors let you check your appearance before heading out, but they are also attractive design elements to any room. Not only can they reflect an object in the room, but they can reflect light in order to make a room look and feel bigger than it is. Continue reading for tips on how to decorate with mirrors near Houston . It’s not too common to see a mirror in an outdoor space, such as the porch. But a mirror is a great way to reflect light onto a seating area, or even reflect candlelight or moonlight. Decorate outdoor mirrors with a beautiful frame to further enhance the décor. Large, custom bathroom mirrors are effective at enlarging small spaces like the bathroom and guest bedrooms. Our custom residential glass has also been used to create custom kitchen cabinet doors made of mirrored glass. A mirrored wardrobe or closet door is a beautiful, custom touch to a bedroom. We recommend having the mirror framed and divided by a panel to lighten its weight. To decorate your custom glass you will need an attractive frame. There are antique frames that can be restored and paired with custom glass, or new modern frames that match any contemporary room. It is also possible to have the frame itself overlaid with glass panels. Remember, the frame does not have to be hung on the wall—it can be set against the wall for a dramatic effect. Bathroom vanity mirrors are as much about the glass as the frame. Search for a beautiful frame that complements the bathroom’s décor, and we can build a custom vanity mirror out of high-quality glass to fit the frame perfectly. To further decorate the bathroom with mirrors, have custom glass installed on the drawers of a vanity table. Another option is to install a custom glass shower door and enclosure. Our glass shower options include a sliding door, pivot door, and round door. Our shower glass is custom, elegant, easy to clean, and waterproof. Hard water spots are a regular problem with glass shower doors, windows, and glass coffee tables. If you clean glass with soap and water, or if the glass is splashed by non-distilled water, you will have hard water spots. At Hurricane Glass & Mirror, we understand that cleaning hard water spots from commercial glass or residential glass in Houston can be a challenge, which is why we wanted to share this video to help you maintain the glass around your home. First, get the supplies you will need. Hard water stains can be removed with a mixture of lemon juice, vinegar, and water. Scrub the lemon juice into the glass, then use the vinegar and water mix to wipe it down. Finally, dry the glass thoroughly. Watch this video to learn more about cleaning hard water spots from glass.